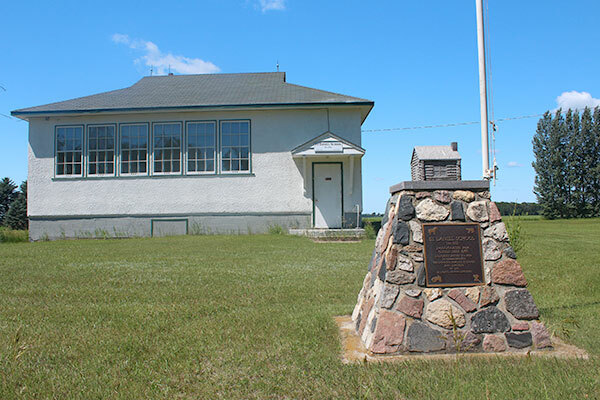 The St. Daniel School District was formally established sometime before March 1894. 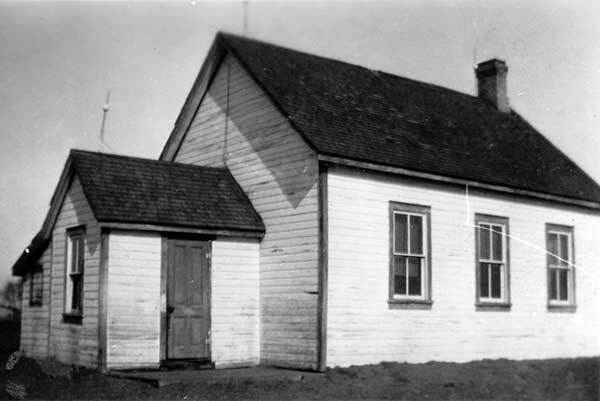 A log school building was built on an acre of land on the northeastern-most corner of NW16-7-5 west of the Principal Meridian, adjacent to the St. Daniel log church, in the Rural Municipality of Dufferin. 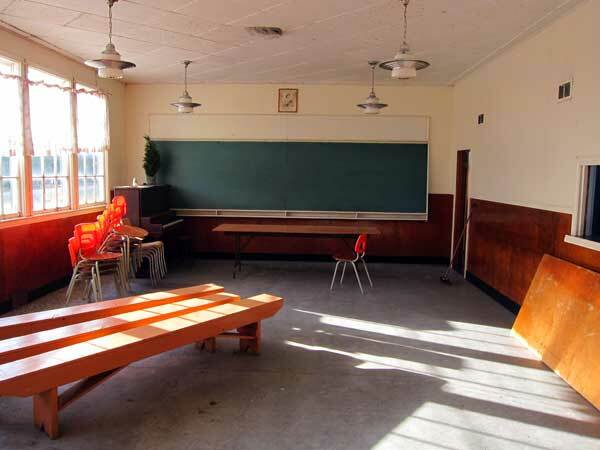 Around 1895, the school building was moved to SE30-7-5W and a new one-room wood frame structure was erected in 1902. 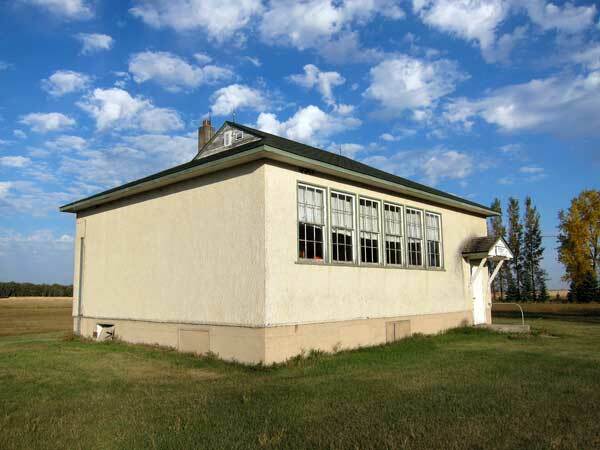 Originally operated as a bilingual school (French and English), it became unilingual English in 1910, reflecting a gradual change in the ethnic composition of the surrounding community. The present building on the site, featuring a full basement, furnace, and running water, dates from 1952. The school operated until June 1966 and the district was dissolved in 1968. Its catchment area became part of the Midland School Division. The building is now used as a community hall. Nearby is a stone monument, dedicated at a ceremony on 9 August 1992, for the students, teachers, and pioneers of the St. Daniel district. Among the teachers of St. Daniel School were Anna Dupuis Lapointe, J. L. Larocque (1898-1899), Alfred Loiselle (1899-1901), Maria Bloudeau (1901-1902), Rose A. Perras (1905), Evelina Desauliers (1906), Louise Prud’homme (1907), Era Dureault (1908-1909), M. C. Lajeunesse (1909), Matilda H. McKee (1910), Frank Harrison (1910), Lillian McDonald (1911-1913), Minnie Werseen (1913), Hela V. Werry (1914-1915), Myrtle McCullough (1916-1917, 1921), Edna M. Cochrane (1917-1918), Alice Somers (1918), Pearl P. McCullough (1919), Gladys G. Abercrombie (1920), Miss Bennett (1920), Miss Douglas (1921), Miss McDole (1922-1923), Ethel Robertson (1923-1925, wife of Mr. Wilson), Minnie Stewart (1925, wife of Elmer A. Sanderson), Janet A. Stewart (1926-1928), Florence Stevens (1929), Mary Isabelle Gorrell (1929-1932, wife of Mr. Bissett), Irma McKay (1932-1934, wife of Carl Atkins), Ollie Wood (1934-1935), Jean Dresser (1934-1935), Margaret Jean Abercrombie (1935-1937, wife of Elgin Pritchard), Aura F. Flanders (1937-1938, wife of Mr. Russell), Lorena Houston (1938-1939), Yetta Kranis (1938-1939), Alice M. Blocker (1938-1940, wife of Sherman Strutt), M. Grace Brown (1940-1941), Madeleine Pachet (1941-1944, wife of Mr. Le Vasseur), Irma Duffey (1944-1945, wife of George Edinborough), Felixine Ouimet (1945-1947, wife of Mr. Mailhot), Martha Le Bedovick (1947-1948), Annie M. Jones (1947-1948), Mildred Haier (1948-1950, wife of Mr. Burek), Margaret Enns (1950-1951, wife of Abe Matthies), Margaret Black (1951-1952, wife of Mr. Sanders), Dean Dunn (1951-1952, wife of Brian St. George), Jean Sklepowich (1952-1953, wife of Wallace Hendrickson), Evelyn Smith (1953-1956, 1959-1962, wife of George Allen), Victor Molchanko (1955-1956), Ruth McKee (1956-1957, wife of Lawrence Fric), Gail Nicholls (1957-1958, wife of Howard Gilmour), Eva Friesen (1958-1959, wife of Garry Kaiser), Jeanne E. Sutton (1959-1960, wife of Ralph Sutton), Audrey Gilman (1962-1964, wife of Joe Forster), Dawn Froebe (1964-1965), and Carole Rumak (1965-1966, wife of John Didyk). Marriage registration [Minnie Pearl Stewart], Manitoba Vital Statistics. The Rural Municipality of Dufferin, 1880-1980 compiled and edited by June M. Watson with the assistance of the History Book Committee, RM of Dufferin, 1982, pages 163-165. We thank Bill McCullough for providing information used here.